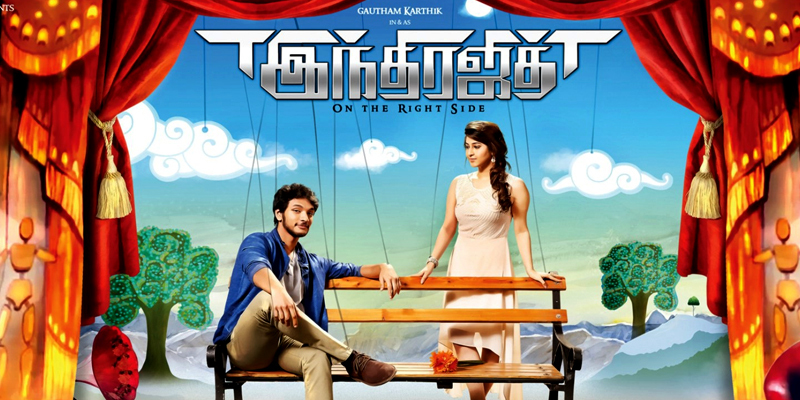 Gautham Karthik's 'Indrajith' directed by Kalaprabhu is one of the actor's much anticipated movies. The movie which is touted to be an action adventure fantasy started filming in 2014. Even though the film's production underwent long breaks in between, its teaser which got released last year was received well by fans and audiences. The movie has Gautham Karthik playing the lead role with actresses Ashrita Shetty and Sonarika Bhadoria playing pivotal roles as the female leads of the film. Actor Rajveer Singh essays the role of a villain while other actors like Sudanshu Pandey, Amit and Pratap Pothen could be seen in other important roles. Another highlight of the film is the songs composed by KP which has already found an eternal spot in the playlists of fans and music lovers. 'Indrajith' which is bankrolled by 'Kabali' producer Kalaipuli.S.Thanu's production house V Creations is set to start entertaining audiences from November 24.